Ronnie Tjampitjinpa was born at Muyinnga, deep in Pintupi country and after spending some time in Yuendumu with his brother Smithy Zimran Tjampitjinpa moved to the new settlement of Papunya. 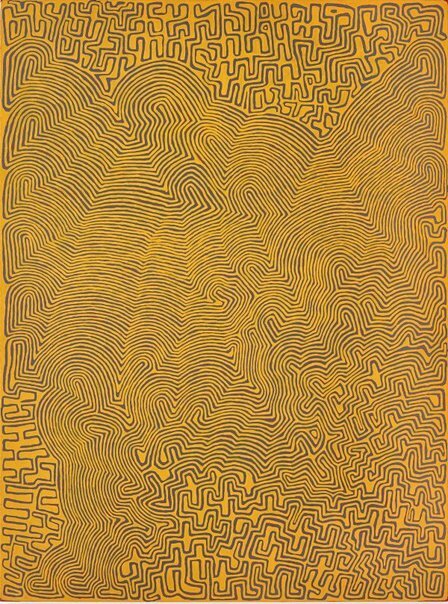 In 1971 Tjampitjinpa began drawing on paper and in 1972 was a founding member of Papunya Tula Artists. He worked under the tutelage of his uncle Uta Uta Tjangala. Tjampitjinpa was a strong advocate for the outstation movement and was central to the establishment of Walungurru (Kintore) in 1981. In 1983 he moved his family to his own outstation at Ininti (Redbank). 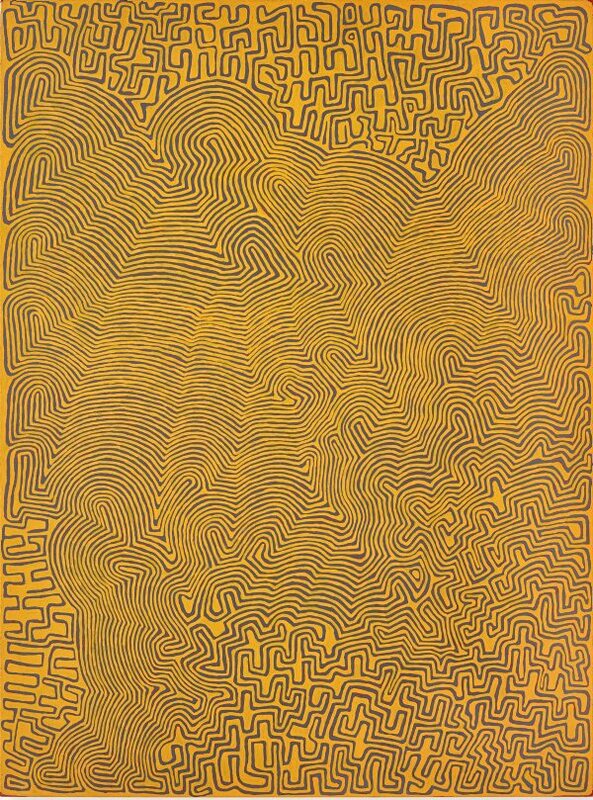 Now living back on his country Tjampitjinpa painted more regularly and by the late 1990s he was one of Papunya Tula Artists leading artists recognised for his bold graphic canvases and preference for elegant line-work devoid of dots. 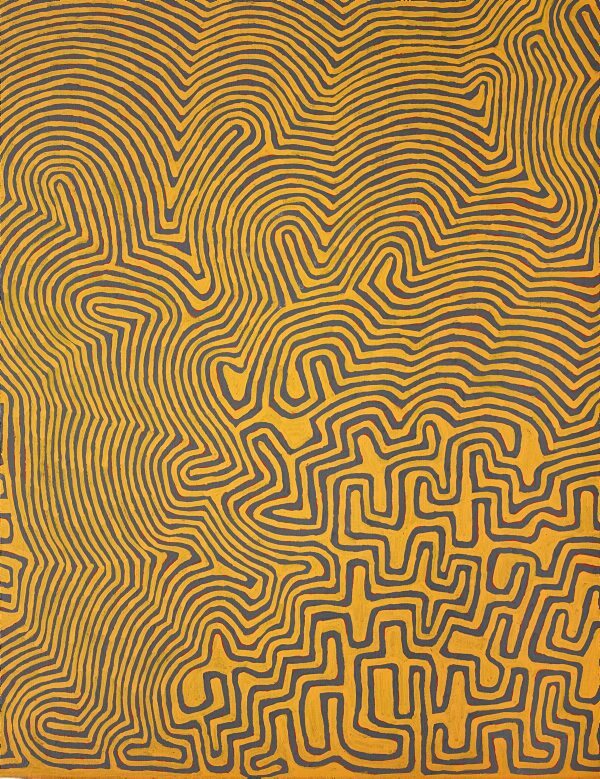 Tjampitjinpa focuses on the actions of the Tingari and offers constant innovation in their modes of representation. 'Tingari fire dreaming at Wilkinkarra' 2008 is a landmark work by Tjampitjinpa that centres on the actions of the Tingari at the vast salt lake of Wilkinkarra (Lake Mackay). Cara Pinchbeck, Look , 'Longing for home', pg. 29-31, Sydney, May 2015, 30, 31 (colour illus. ).